Can you help us to identify any of the women in this photograph? 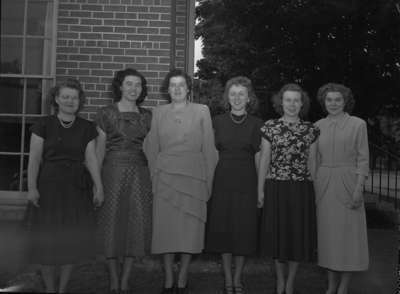 A group of six women in dresses. The women in this photograph are graduates of Oshawa Hospital school of nursing. Oshawa Hospital Graduates (Image 2 of 4), June 1948, Marjorie Ruddy. Whitby Archives A2013_040_1230.